Accessibility Across The Nation | SMP Marketing, LLC. SMP Marketing, LLC. and its affiliates should be your choice for fruits and vegetables. Having locations across the nation, we have the ability to consolidate and shorten the transit times of all our customers throughout the continental United States. 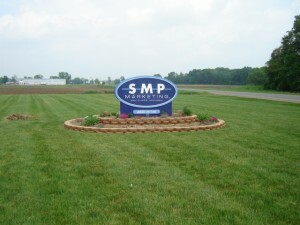 SMP strives to service our customers with a more constant supply of high quality and service that they deserve. With our companies having locations in Michigan, Tennessee, Texas and Georgia, this gives us the ability to consolidate and shorten the transit times to all our customers throughout the United States. During the months of June thru October, this location has allowed us to overnight deliveries to the Midwest, Eastern, and Southeastern regions. That ability gives the buyers an added option of making changes to their orders just hours before deliveries, giving the buyer more control of warehouse inventory levels. Our Tennessee location handles our consolidation from November thru May and from that facility we are able to deliver all the same locations with as little as 2 days notice.